Budget priced high resolution outdoor camera with anti-vandal features and a mechanical IR filter. 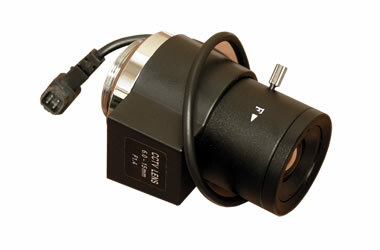 This 6-15mm auto-iris varifocal CCTV camera lens makes a great replacement or upgrade for a damaged, vandalized or broken varifocal CS-mount lens. This model is designed for day/night and low LUX cameras.